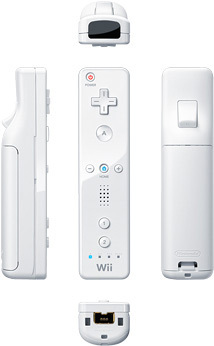 Spare controller for the Wii machine for two player match ups or as replacement if the existing one has flown out the window. No gimmicks here: this controller is the breath of vitality the games industry needed and just what Doctor Mario ordered. Brand new. White in colour. Contains strap, remote jacket and 2x batteries.